We have previously covered the Warburg Effect, and there has been a number of comments about the chicken or the egg! There is an underlying factor that makes it difficult to comprehend that the initiation of cancer is mutation driven, although we are clear that smoking and a number of environmental factors are instigators of the change. The main problem that I have referred to is the chemical, thermodynamic, and evolutionary state of our existence. I strongly refer to the work of Ilya Prigogene. There is a progressive series of changes over time, and it is not possible to determine the initial state. Consequently, a progressive series of adaptations progresses, involving gene expression, non-genetic changes, and metabolic equilibrium that is maintained, but becomes non-adaptive. Yu Z, Huang L, Zhang T, Yang F, Xie L, Liu J, Song S, Miao P, Zhao L, Zhao X, Huang G.
Pyruvate kinase M2 (PKM2) is a key player in the Warburg effect of cancer cells. the mechanisms of regulating PKM2 are not fully elucidated. as a novel binding partner of PKM2. an increase of PKM2 protein levels. while enhanced mitochondria respiration and chemotherapeutic sensitivity of cancer cells. highlighting PIM2 as a potential therapeutic target. Different mtDNA mutations modify tumor progression in dependence of the degree of respiratory complex I impairment. Iommarini L, Kurelac I, Capristo M, Calvaruso MA, Giorgio V, Bergamini C, Ghelli A, et al. Dipartimento di Farmacia e Biotecnologie (FABIT). most commonly affecting genes encoding mitochondrial complex I (CI) subunits. It is still unclear whether they exert a pro- or anti-tumorigenic effect. chosen since they induce different degrees of oxidative phosphorylation impairment. the m.3571insC/MT-ND1 and the m.3243A>G/MT-TL1 mutations induced a severe structural and functional CI alteration. As a consequence, this severe CI dysfunction determined an energetic defect associated with a compensatory increase in glycolytic metabolism and AMP-activated protein kinase activation. the type and severity of the resulting oxidative phosphorylation dysfunction. 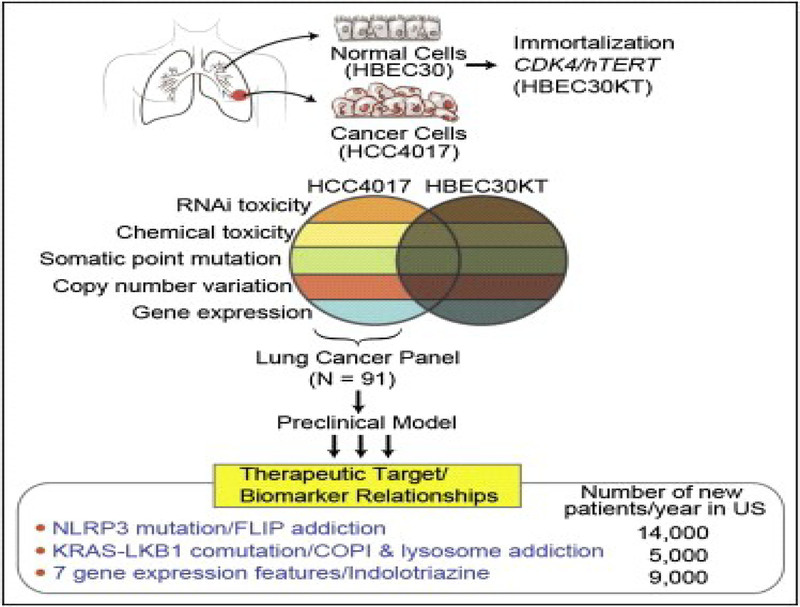 structural and functional integrity of CI and oxidative phosphorylation are required for hypoxic adaptation and tumor progression. Hyun Seok Kim, Saurabh Mendiratta, Jiyeon Kim, Chad Victor Pecot, Jill E. Larsen, et al.